We’re 1 week away from Turkey Day, so get ready to gobble ’til you wobble! In the mean time, Project Warm Us continues collecting gently used coats, Frisco Arts hosts a Thanks-for-giving wine night, Frisco Community Theatre performs “The Last 5 Years” for the last weekend, and it’s beginning to look a lot like Christmas in Frisco. “Super Friday Fun Night” – It’s kids’ night out at the FAC! Start off in the Zone playing air hockey, billiards, and foosball during check-in. Next, head to the Indoor Aquatic Center for swimming in the lazy river, play pool, and slide down ‘Big Blue’ (must be 48′ to ride). End the night with a pizza dinner and fun, active and cooperative games in our studios and gym. Bring your friends and join us for Super Friday Fun Nights. Drop off in Zone. Guardian must come into FAC with participant to sign a waiver on first visit. Bring a swimsuit and towel. “ANIMOTION: A Christmas Tale Stop-motion Animation Workshop Frisco School of Music & Performing Arts” – You can create a 1 to 3-minute short digital film is created from a presented script using stop-motion animation where a figure is moved slightly and a video frame is recorded. Putting all the movements and video frames together makes simulated, animated motion. The end result is an amazing and stylized motion. 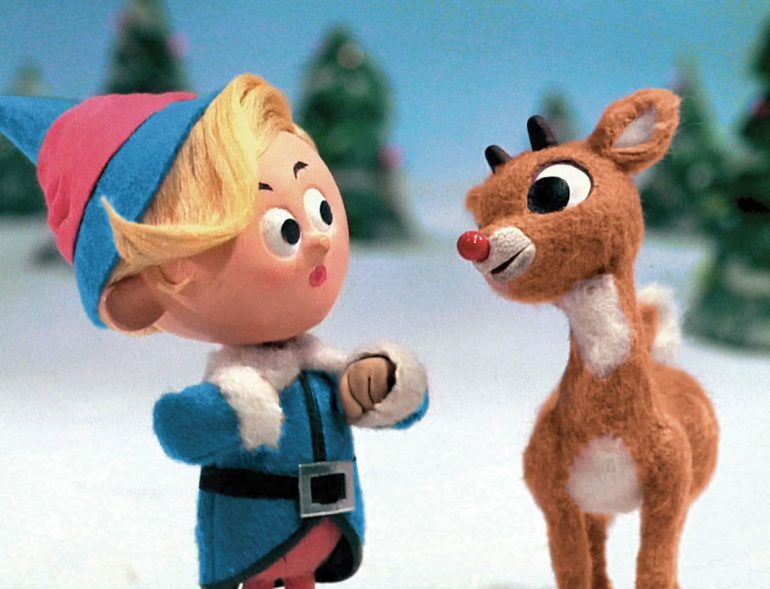 You’ve likely seen a stop-motion animated show such as the 1960’s “Rudolph The Red-Nosed Reindeer,” “Santa Clause Is Coming to Town,” and in recent years “Wallace and Gromit” TV show. Friday through Sunday this weekend only. “WaterWise Fall Brown Bag Workshops: Texas Trees” – In addition to their beauty, trees provide numerous benefits to our community. Bring your lunch and join WaterWise to hear Tyler Wright, Urban Forester with the Texas Trees Foundation, talk more about native Texas trees and how to take care of these important natural resources. Register (waterwise@friscotexas.gov) to attend this free brown bag workshop, held Friday, November 18, 12:00 – 1:00 pm at the Frisco Public Works Department, 11300 Research Rd. Frisco, TX 75033. “Cheer America Dallas Platinum Championship” – Cheer America is headed to the Dr. Pepper Center, 2601 Avenue of the Stars, for all day competition. Their Platinum Events are TOP NOTCH! Come win some amazing prizes! This event is a full light and sound production championship for all All-Star, All-Star Prep, Dance, School, Recreation and Individual/Small Groups, Special Needs and Exhibition! “Photos With Santa at Stonebriar mall“ – Through December 24th, make a reservation to see Santa and spend less time in line. Plus, save 30% on your photos by pre-ordering a package online. Visit before December 9 to save an extra $5. Reservations and photo purchases are not required to visit Santa. “Tom Turkey Gets a Pardon!” – Mayor Pro Tem Will Sowell will stand in for Mayor Maso and pardon the Thanksgiving turkey at Frisco Heritage Center, 6455 Page Street, from 1pm to 4pm. Other live animals will be available for children to see and touch. Enjoy kid’s crafts & old-time games, working blacksmiths, historic homes tours. “Frisco Heritage Center 3rd Sunday Open House” – Enjoy the Third Sunday Open House at the Frisco Heritage Museum. Montlhy event inlcudes kid’s crafts, games, working blacksmiths, historic home tours and much more. Admission is FREE! “Christmas in the Square 2016” – From Friday, November 25th, through January 1, 2017, come see the lights fantastic from 6pm to 10pm daily. Christmas in the Square draws over 675,000 visitors annually. Families, friends and holiday guests from all over come and enjoy the spectacular show. Lights! Music! Snow! The Holiday lights and music (radio station TBD), is choreographed by Frisco’s own Jeff Trykoski (Illumimax LLC). With over 175,000 lights, 11.5 miles of wiring and 8 miles of extension cords, Christmas in the Square is unlike anything you have ever seen. “26th Annual Frisco Merry Main Street” – On Saturday, December 3rd, see Santa’s arrival, lighting of the city of Frisco Christmas tree, a children’s holiday store, live reindeer, Santa’s Workshop, holiday treats, snowflake light show, horse-drawn carriage rides, and entertainment on three stages by Frisco Elementary Schools. 6pm is tree lighting in Simpson Plaza, 6101 Frisco Square Blvd. “Inaugural Frisco Holiday Home Tour benefitting Make-A-Wish® North Texas” – On Saturday, December 10th, the Inaugural Frisco Holiday Home Tour will take place from 11:00am to 6:00pm. Have you ever driven around Frisco and wondered what the inside of some of the beautiful homes look like? Well now is your chance! The first ever Frisco Holiday Home Tour will allow you to tour 6 gorgeous homes all decorated in full holiday splendor. The tour is self-guided, so you can drive yourself to each home at your leisure. The six homes are located throughout Frisco and include the neighborhoods of The Shores at Waterstone, Stonebriar Park, Newman Village and Country Club Ridge. In addition to touring the home, volunteers will be stationed throughout the tour to share some of the traditions and stories of each of the families. Tickets can be purchased for $35 online and all proceeds go directly to Make-A-Wish North Texas. There will be additional raffle items for purchase at each home. “11th Annual Frosty 5K & Merry Mile” – On Saturday, December 10th, in Simpson Plaza at City Hall, the City of Frisco Parks and Recreation Department will host the 11th Annual Frosty 5K and Merry Mile. The Merry Mile will start at 8:00am and the timed Frosty 5K will start at 8:30am. This is a wonderful family event in which an expected 2,000 people will participate. Register today for the 5K Individual, 5K Team, or Merry Mile! “Frisco Chorale’s Positively Christmas Concert” – On Saturday, December 10th, the performance includes favorite holiday selections such as “Deck the Halls,” “I Saw Three Ships,” and “The Twelve Days of Christmas.” 7-8pm Free. City Hall, 6101 Frisco Square Blvd. “Santa Comes to 4th Street” – On Sunday, December 18th, bring your chairs and blankets and join us for a community movie night! Take your picture with Santa, enjoy some food from the Rail Yard, and watch Home Alone with family and friends! The event will be held behind the Municipal Court Building, 6865 Main Street, Frisco TX 75034, at 5:30pm.